February | 2014 | VAMboozled! Following up from our last post including Professor Haertel’s analysis of the “Oak Tree” video, produced and disseminated by the Value-Added Research Center (VARC) affiliated with the Wisconsin Center for Education Research at the University of Wisconsin-Madison, I thought I would follow-up, as also requested by the same VAMboozled! reader, a bit more about VARC and what I know about this organization and their VAM. Dr. Robert H. Meyer founded VARC in 2004 and currently serves as VARC’s Research Director. Accordingly, VARC’s value-added model is also known as Meyer’s model, just as the EVAAS® is also known as Sanders’s model. Like with the EVAAS®, VARC has a mission to perform ground-breaking work on value-added systems, as well as to conduct value-added research to evaluate the effectiveness of teachers (and schools/districts) and educational programs and policies. Unlike with the EVAAS®, however, VARC describes its methods as transparent. Although, there is actually more information about the inner workings of the EVAAS® model on the SAS website and via other publications than there is about the VARC model and its methods, this is likely due to the relative youth of the VARC model, as VARC is currently at year three in terms of model development and implementation (VARC, 2012c). Nonetheless, VARC has a “research-based philosophy,” and VARC officials have stated that one of their missions is to publish VARC work in peer-reviewed, academic journals (Meyer, 2012). VARC has ostensibly made publishing in externally reviewed journals a priority, possibly because of the presence of the academics within VARC, as well as its affiliation with the University of Wisconsin, Madison. However, very few studies have been published to date about the model and its effectiveness, again likely given its infancy. Instead (like with the EVAAS®), the Center has disproportionally produced and disseminated technical reports, white papers, and presentations, all of which (like with the EVAAS®) seem to also be disseminated for marketing and other informational purposes, including the securing of additional contracts. Unfortunately, a commonality across the two models is that they both seem bent on implementation before validation. Regardless, VARC defines its methods as “collaborative” given that VARC researchers have worked with school districts, mainly in Milwaukee and Madison, to help them better build and better situate their value-added model within the realities of districts and schools (VARC, 2012c). As well, VARC defines its value-added model as “fair.” What this means remains unclear. Otherwise, and again, little is still known about the VARC model itself, including its strengths and weaknesses. But I would bet some serious cash the model, like the others, has the same or similar issues as all other VAMs. 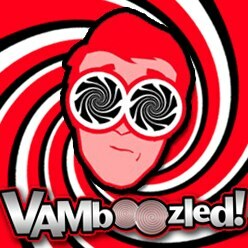 To review these issues, please click here to (re)read the very first post on VAMboozled! (October 30, 2013), about these general but major issues. The VARC model uses generally accepted research methods (e.g., hierarchical linear modeling) to purportedly measure and evaluate the contributions that teachers (and schools/districts) make to student learning and achievement over time. VARC compares individual students to students who are like them by adjusting the statistical models using the aforementioned student background factors. Unlike the EVAAS®, however, VARC does make modifications for student background variables that are outside of a teacher’s (or school’s/district’s) direct control. Then (like with the EVAAS®) whether students whose growth scores are aggregated at the teacher (or school/district) levels statistically exceed, meet, or fall below their growth projections (i.e., also above or below one standard deviation from the mean) helps to determine teachers’ (or schools’/districts’) value-added scores and subsequent rankings and categorizations. Again, these are relatively determined depending on where other teachers (or schools/districts) ultimately land, and they are based on the same assumption that effectiveness is the average of the teacher (or school/district) population. Like with the EVAAS®, VARC also does this work with publicly subsidized monies, although, in contrast to SAS®, VARC is a non-profit organization. Given my best estimates, VARC is currently operating 25 projects exceeding a combined $28 million (i.e., $28,607,000) given federal (e.g., from the U.S. Department of Education, Institute for Education Sciences, National Science Foundation), private (e.g., from Battelle for Kids, The Joyce Foundation, The Walton Foundation), and state and district funding. VARC is currently contracting with the state departments of education in Minnesota, New York, North Dakota, South Dakota, and Wisconsin. VARC is also contracting with large school districts in Atlanta, Chicago, Dallas, Fort Lauderdale, Los Angeles, Madison, Milwaukee, Minneapolis, New York City, Tampa/St. Petersburg, and Tulsa. Funding for the 25 projects currently in operation ranges from the lowest, short-termed, and smallest-scale $30,000 project to the highest, longer-termed, and larger-scale $4.2 million project. Across the grants that have been funded, regardless of type, the VARC projects currently in operation are funded at an average of $335,000 per year with an average funding level just under $1.4 million per grant. It is also evident that VARC is expanding its business rapidly across the nation. In 2004 when the center was first established, VARC was working with less than 100,000 students across the country. By 2010 this number increased 16-fold; VARC was then working with data from approximately 1.6 million students in total. VARC delivers sales pitches in similar ways, although those affiliated with VARC do not seem to overstate their advertising claims quite like those affiliated with EVAAS®. Professor Edward Haertel, School of Education at Stanford University, wrote Linda Darling-Hammond (Stanford), Jesse Rothstein (Berkeley), and me an email a few years ago about just this video. While I could not find the email he eloquently drafted then, I persuaded (aka, begged) him to recreate what he wrote then, here, for all of you. “The Value-Added Research Center’s ‘Oak Tree’ analogy is helpful in conveying the theory [emphasis added] behind value-added models. To compare the two gardeners, we adjust away various influences that are out of the gardeners’ control, and then, as with value added, we just assume that whatever is left over must have been due to the gardener. But, we can draw some important lessons from this analogy in addition to those highlighted in the presentation. In the illustration, the overall effect of rainfall was an 8-inch difference in annual growth (+3 inches for one gardener’s location; -5 for the other). Effects of soil and temperature, in one direction or the other, were 5 inches and 13 inches. But the estimated effect of the gardeners themselves was only a 4-inch difference. As with teaching, the value-added model must sort out a small “signal” from a much larger amount of “noise” in estimating the effects of interest. It follows that the answer obtained may depend critically on just what influences are adjusted for. Why adjust for soil condition? Couldn’t a skillful gardener aerate the soil or amend it with fertilizer? If we adjust only for rainfall and temperature then Gardener B wins. If we add in the soil adjustment, then Gardener A wins. Teasing apart precisely those factors for which teachers justifiably should be held accountable versus those beyond their control may be well-nigh impossible, and if some adjustments are left out, the results will change. Another message comes from the focus on oak tree height as the outcome variable. The savvy gardener might improve the height measure by removing lower limbs to force growth in just one direction, just as the savvy teacher might improve standardized test scores by focusing instruction narrowly on tested content. If there are stakes attached to these gardener comparisons, the oak trees may suffer. The oak tree height analogy also highlights another point. Think about the problem of measuring the exact height of a tree—not a little sketch on a PowerPoint slide, but a real tree. How confidently could you say how tall it was to the nearest inch? Where, exactly, would you put your tape measure? Would you measure to the topmost branch, the topmost twig, or the topmost leaf? On a sunny day, or at a time when the leaves and branches were heavy with rain? Thanks are very much in order, Professor Haertel, for having “added value” to the conversations surrounding these issues, and, helping us collectively understand the not-so-simple theory advanced via this video. Again, please note that this study has not yet been peer-reviewed. While some results naturally seem to make more sense, like the one reviewed above, peer-review matters equally for those with results with which we might tend to agree and those with results we might tend to reject. Take anything for that matter that is not peer-reviewed, as just that…a study with methods and findings not critically vetted by the research community. Contrary to what is going on in South Carolina and its House Bill 4419 (thanks in large part to Rhee and her “supportive” efforts, as posted also today here), in the state of Washington its State Senate just voted “No” against evaluating teachers in the state using student test scores. Interesting that this happened in Bill Gates’s homestead state, given his current and widespread educational “reform” initiatives in support of the opposite, but I digress. As per at least one of the articles capturing this story, Washington State Senate Bill 5246 failed by a 28-19 vote, even though Washington (like many other states) has a federal No Child Left Behind (NCLB) waiver requiring the state to mandate the use of such tests for such evaluation systems. The state could now lose an undisclosed (and likely unknown) amount of federal funding, by not complying with the aforementioned condition of the NCLB waiver. It’s about time!!! Silver linings, perhaps, but something certainly to celebrate! Is this not something else to celebrate? Depends on your stance as a leader, I guess. New York “State officials admit problems with new teacher ratings” is how the headline reads. More specifically, it seems that New York State Education Department officials are acknowledging “significant flaws” with their new system of rating more than 126,000 teachers statewide by their effectiveness, and these errors are causing the state to push back the public release of these data. While the state did not disclose any details to help define with what types of “significant flaws” the state was dealing, anecdotal evidence suggests there may be rating errors across similar tests and scoring errors whereby teachers who score consistently across subject areas are scoring below par in their overall categorization/ranking. In addition, this release is only to be pushed back until around March, even though the data to be released are about teacher performance from the 2012-13 school year. Yes, teachers will be getting their data this March from last year. Here’s the deal on this one. One of the biggest drawbacks of such teacher evaluation systems is that they have literally no instrumental value; that is, no states across the country have yet figured out how to use these data for instrumental or change-based purposes, to inform the betterment of schools, teacher quality, and most importantly students’ learning and achievement, and no states yet have plans to make these data useful. These systems are 100% about accountability and a symbolic accountability more accurately that, again, has little to no instrumental value. No peer-reviewed studies, for example, have demonstrated that having these data actually improves, not to mention does much of anything for schools, since such data systems have been implemented. This is largely due to a lack of transparency in these systems, high levels of confusion when practitioners try to consume and use these data (many times because the data reported are far removed from the realities and content particulars they teach), and issues like this. Oftentimes, by the time teachers get their evaluation reports, students are well on their way in subsequent grades, and in this case almost onto two grade levels later. As the title implies, Thompson connects the dots between the Gates Foundation and the others who are also part of the “Billionaires’ Boys Club” who are supporting (although not directly financing) this case. Thompson also provides a much more thorough and detailed analysis of Kane’s testimony. Do give it a read.